The output performance of ZnO piezoelectric nanogenerators (NGs) has been limited because of the potential screening of large excess intrinsic electron carriers in ZnO. In this study, a simple and effective approach was demonstrated to fabricated piezoelectric nanogenerators (NGs) with higher output performance by constructing a p-Cu2O/n-ZnO heterojunction. The p–n heterostructure formed by adding Cu2O layer on ZnO, effectively reduced potential screening from intrinsic free electron carriers of ZnO. Using this approach, we obtained a maximum of output current up to 900 nA, which was a 30-fold higher output current compared with ZnO NG without a Cu2O layer. 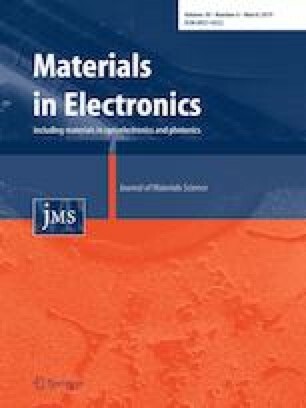 These results indicate a compatible strategy for realizing a high-performance piezoelectric harvesting devices. This work was supported by the NSFC (Project No. 61504018), Support high-level innovative entrepreneurial talent project in Dalian (2015R094), the National Natural Science Foundation of China (51872036), Dalian science and technology innovation fund (2018J12GX033), and Foundation of Key laboratory for Micro/Nano Technology and System of Liaoning Province (20140405).